A change is a comin'! Well, it's been a CRAZY 4 years at my school and I've learned and grown more as a person than I thought was possible. This job has taught me so much and shown me just how passionate + resilient I can be. I am so thankful for all I have learned about people, teaching, myself and life overall! I have more respect for the teaching profession than any other out there (it's not for the faint of heart)! Life is such a crazy and scary ride people!...but I've learned to be bold and go after the things that seems the scariest (and most unrealistic at times) to me...because they truly are the most rewarding, in oh so many ways! The most wonderful Time of year : GIVEAWAY TIME!!! As promised, today is giveaway day!!! I am so excited to have teamed up with SPGBK Wood Watches to giveaway this wooden watch pictured here :) Keep reading below to see exactly how you are going to enter to win it! Remember, this is apart of 12 days of giveaways- so make sure you check out the 11 other ladies that I got together with so we all could make this happen for our lovely readers this holiday season! We are each giving away something different, and all of the gifts so far have been great, I wish I could win! See my #OnWednesdaysWeWearArt post here, featuring this watch + 2 others from SPGBK! 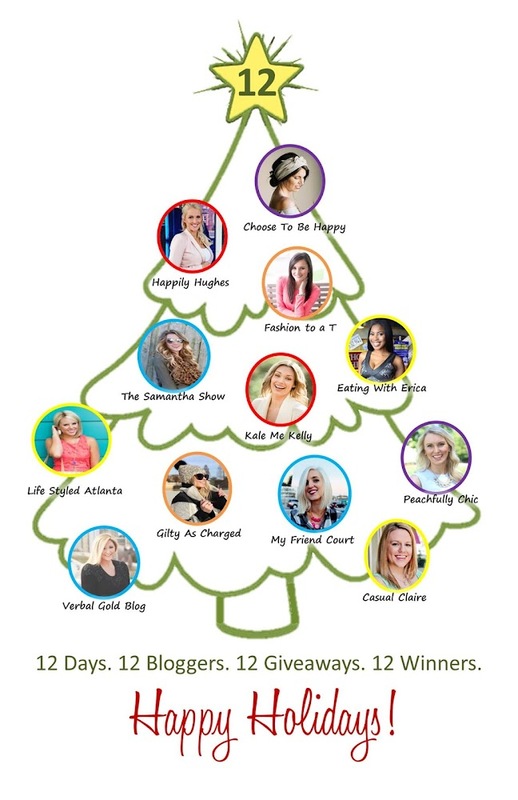 I've teamed up with some amazing Atlanta bloggers this Holiday season and we're giving away 12 great prizes with a combined value of over $1500 for our 12 Days of Christmas Giveaways! A new giveaway every day for 12 days! Make sure to enter below then head to Happily Hughes tomorrow for the next giveaway! Happy Holidays! PS. Don't miss the other Giveaway's going on now and the ones coming soon! They all end on December 12th so enter today!! Best of luck to everybody + Happy Holidays! Psst! : Be sure to check out my online shop, I've got SOO many great deals going on right now! 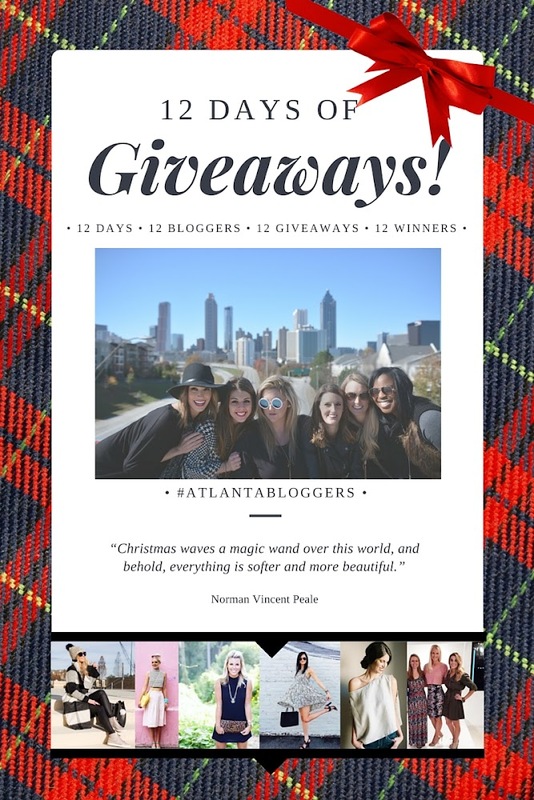 I just wanted to pop in real quick to tell you about a giveaway that I am doing with 11 other [local] Atlanta bloggers! I will be hosting the giveaway on Dec. 7th, so make sure to mark your calendar to see what I will be giving away. ​ Also, go ahead and make sure you are following each gal so you don't miss your chance to win something this holiday season! Psst! : As promised after a little break from it....Here is the #MakeYourMarkDEC daily doodle calendar!!! I've been super behind lately, so my apologies on it being a few days late- but at least we will have time to catch up over the weekend! If your new around here, check out past months of this monthly art challenge here. ***Ive got to update this page. Recent months haven't been added. Ooopss- its been real busy.